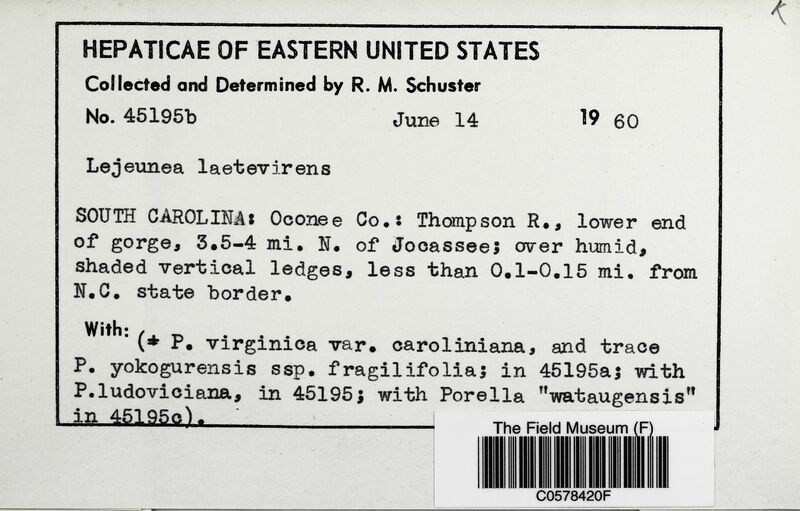 Taxon: Lejeunea laetevirens Nees & Mont. Associated Species: P. virginica var. caroliniana, and trace P. yokogurensis ssp. fragilifolia; with P. ludoviciana; with Porella "wataugensis"